On September 20th 1863, as the twilight settled after the Battle of Chickamauga, something stepped out of the woods on Snodgrass Hill. It was seen by soldiers lying wounded in the field, and by ladies come to claim the bodies of their slaughtered kin. Even in the depths of such horror, witnesses were distracted into reacting to the unknown entity. As it prowled amidst a sea of human corpses, the beast inspired terror. These were locals - farmers and mountain folk, who knew the wildlife here - but not one of them recognized this creature. It became known as Old Green Eyes. Labelled as a ghost, it's occasionally still seen 150 years later. Chickamauga National Park was the site of bloody battle during the American Civil War. It naturally has more than its fair share of ghostly sightings. I am new to the spooky tales of Old Green Eyes. 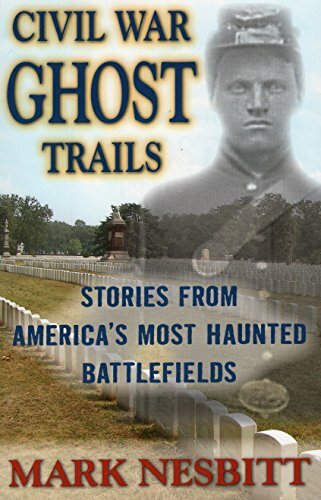 I discovered him for the first time just two days ago, while researching Chickamauga Battlefield ghost stories. His legend was there amidst the usual spectral soldiers, headless horsemen and white ladies. But this one was very different. Old Green Eyes was described as like a human being in bearing and aspect, but much, much taller. It was covered in hair. It had fangs protruding from a misshapen jaw. One witness stated that its face was ape-like. It only came out at night and tended to appear in the woodland. Its name is derived from its orange-green eyes, which appear to glow with eye shine. As a newcomer to the story, I assumed that I'd worked out the ending before the great reveal. It was going to be one of those open secrets, which everyone familiar with the stranger side of the Chickamauga Battlefield already knew. Old Green Eyes was no ghost. He is a Sasquatch. Those who deny the paranormal origins here determine that Old Green Eyes could be an animal. One theory hypothesized that the creature was a panther or mountain lion, due to the glowing eyes. Despite the fact that the description is not at all feline. And another which states that it may be a bear. I would expect the locals of Chickamauga, who farmed and hunted in the area, to know what a bear looks like. In short, I haven't found a single account where Old Green Eyes is identified as Bigfoot. Am I missing something here? Let's examine the evidence, starting with our artists' impression of what Old Green Eyes looks like. Image: Is Old Green Eyes a Sasquatch? Does this really sound like a ghost to you? To me, it all sounds much more like a description of Bigfoot. Before examining the portrayal of Old Green Eyes' features, it's worth noting the conditions in which he is generally seen. It's always at night, or during the twilight, when visibility is lessened. Chickamauga is also prone to localized fog and misty patches. This too may hinder what people are able to see. Moreover the location tends to be on the woodland and mountain pathways, not in the center of the battlefield itself. There is foliage to hide certain aspects of the creature. Old Green Eyes has never appeared in the open, on a bright, sunny afternoon, where every detail can be duly noted and cataloged; nor has a photograph been taken. In 1981, a park ranger named Edward Tinney encountered the creature. What do you make of this description? Earlier eye-witness accounts don't mention a cape. Those seeing it on Snodgrass Hill, in the immediate aftermath of the battle, talked of light colored hair cascading down its back. But they too talked about the fangs, the unusual jawline and the glowing green eyes. The visage looked like an ape. A later meeting involved a local boy scout, who spotted the creature on the Lafayette Road, near to the Florida Monument. He said that it was bipedal and covered in hair. He estimated that it stood around 7 and a half feet to eight feet. It ran at great speed on two legs for a short distance, before dropping onto all fours to gallop into the woods. Due to its great size, he would have assumed he'd seen a grizzly bear. 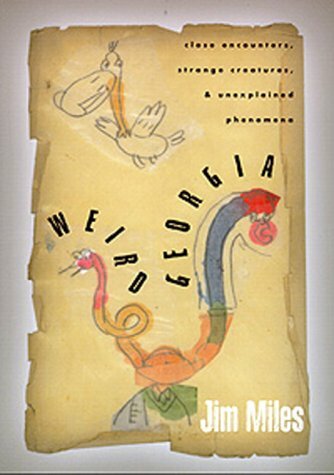 But that species isn't native to Georgia. Mostly what people describe are those eyes. They are glimpsed as eye shine, or animal eye flashes in the darkness. They are invariably green or orange-green. Generally people are walking along the woodland trails at night, when they spot those eyes deeper amongst the trees. Only rarely is Old Green Eyes spotted out in the open. That's often in the vicinity of the Wilder Tower, which is where a lady named Wendi spotted it in 2002. She was driving on a road alongside the park, when the eye shine caught her attention. She parked up to get a better look. The creature was mostly in silhouette, but she could clearly see that it stood on two legs. She estimated his height to be around 7ft. Each time it turned, she saw the eye shine again, as glowing green eyes. 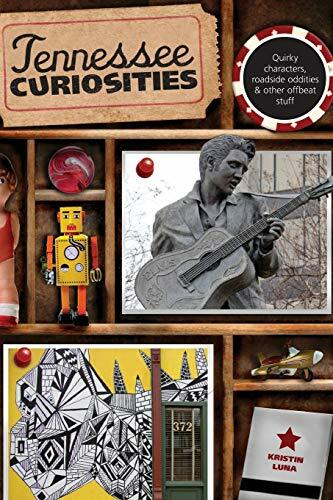 Some eye-witness accounts of Old Green Eyes are included in this book. What do you think Old Green Eyes is? Bigfoot certainly isn't unknown in this part of America. In fact the Sasquatch reports pause to turn into Old Green Eyes, then switch back again! It would be highly unlikely that Old Green Eyes is a Bigfoot, if there was no tradition of such creatures in the area. My next stop for research was to find out if any other large, hairy, bipedal beasts had been reported. There's an obvious resource for this. That's the database kept by the Bigfoot Field Researchers Organization. Headed up by Matt Moneymaker, of Finding Bigfoot fame, it's a repository of Sasquatch sightings from across the USA, Canada and beyond. I soon hit jackpot there. In fact, it seemed that Sasquatch reports in the area paused at the boundaries of the Chickamauga National Military Park. Old Green Eyes legends take over, until we're safely north, then it's all Bigfoot again. A marks Snodgrass Hill, where Old Green Eyes sightings are most often located. B marks Sale Creek. According to the Bigfoot Foundation Research Organization (BFRO) database, a couple spotted a Bigfoot crossing the road here in 2011. C marks Cleveland, where there were possible Sasquatch vocalizations in 2007. D marks an approximate location on Interstate 75, just south of the Hiwassee River. In 2003, a pair of motorists in convoy both witnessed a Sasquatch leaning over roadkill at the side of the road. E marks Pigeon Mountain, which has no less than five Sasquatch listings in the BFRO database. They have been reported throughout the past thirty years. F marks Rising Fawn, where a fisherman saw a Sasquatch in 1987. 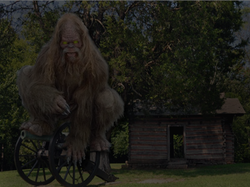 This only accounts for those finding Bigfoot within an hour of the Chickamauga National Military Park. If you go slightly further to the north-east, there's a veritable hotbed of Sasquatch sightings in the Cherokee National Park, Tennessee. Also, I haven't marked any sightings which haven't been reported to the BFRO. There could be many more. 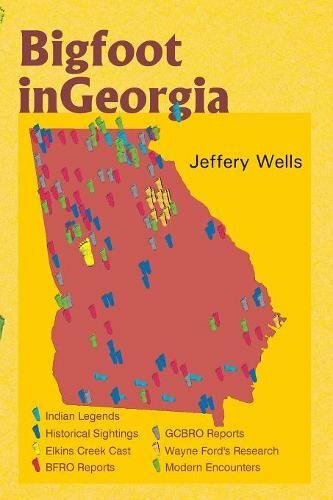 Read these books to discover more about Sasquatch sightings in these southern states. Could the Park Sustain a Bigfoot? Unless there are resources to nurture it, then it quickly would become a ghost! If we are going to entertain the notion that Old Green Eyes is in fact a Sasquatch, then the final piece of the jigsaw is to check out the habitat. If the Chickamauga and Chattanooga National Military Park couldn't sustain a small flea, then it certainly wouldn't keep a Bigfoot alive. So yes, wildlife thrives in abundance in the area. It includes deer, which the BFRO highlights as a particular favorite of the huge, hairy wildmen. 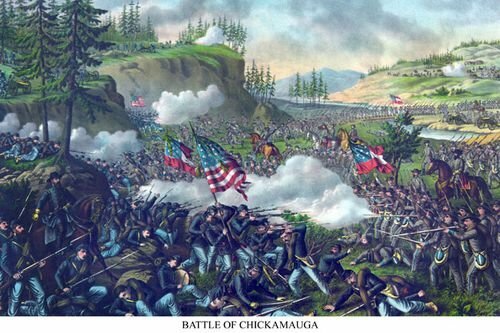 Chickamauga is named for the river which runs through it. Though that does actually translate as 'the river of death', the issue is not with the water source itself. Europeans entering the area infected the Cherokee with smallpox. A few decades later, US soldiers returning from Cuba and the Philippines brought malaria with them. A typhoid epidemic appears to have been linked with food transported in a cart, which had previously carried manure. Nevertheless, at different times, hundreds of people died of those diseases on the banks of this river, hence the tragic reputation. None of which will concern our Sasquatch at all. It can drink away with impunity. If food and drink are covered, then what about the terrain? Reportedly, Bigfoot like large forested areas, where they can create nests of foliage on the ground or enjoy a nice cave in which to bed down. The choicest locations appear to be mountains with secluded valleys. The Battle of Chickamauga was fought in a valley. The Chickamauga Creek runs through it. Lookout Mountain, Missionary Ridge, Pigeon Mountain and Cloudland Canyon State Park are all in the vicinity. This is all still the Appalachian Mountain Range, which bisects the whole Eastern seaboard from the rest of the USA. Sasquatch have been sighted along its entire length. Status has to be given to that. Moreover, Old Green Eyes is generally encountered on the slopes of Snodgrass Hill, firmly within the battlefield. Woodland envelopes it, reaching to its summit to the west and north. The 'ghost' is most often spotted emerging from this forest or still within it. All of the factors are there, so why would anyone think that this legendary creature is a ghost? To my mind, it's cut and dried. Old Green Eyes is a Sasquatch. 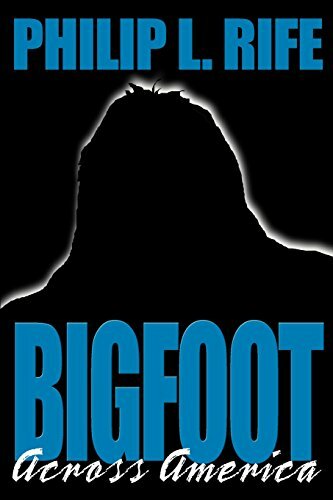 On December 6th 1972, an all-time classic Bigfoot docu-drama was released. Chronicling true sightings of the Fouke Monster, the movie has grossed $25 million. Is your idea of a good time wandering around forests looking for 10ft tall elusive primates? 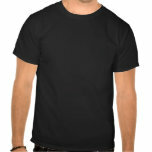 Then check out these Gone Squatchin' t-shirts and other items! Thank You Jo for your research and knowledge on the Bigfoot subject, I'm not a researcher but, I do read all I can find, I believe it lives here today. Thank You Barry C.
I would love for Matt Moneymaker et al to go and check it out. That would be an amazing episode of 'Finding Bigfoot'. Thank you so much for adding your local knowledge to this story. That's really quite thrilling to read for someone stuck over the Atlantic in Britain. I live in Chickamauga, Ga and run in the Chickamauga Battlefield. I was raised hearing stories of Green Eyes on Snod Grass Hill. My parents used to drive us up there at night. Legend says Green Eyes comes out at night and If you drive up there at night and flash your lights you might just see old Green Eyes. We used to love it! It was so scary! Now the road is closed at night and you can't go up there. It is full of animals in the park but very visited by people all day but it gets pretty remote at night. So, it's possible but an older lady in her 80's told me about a cave and water hole deep in the park that they use to hear screams that sounded like a hurt woman but they thought it was a panther. Her house was right outside the park and they knew the creature lived in the cave so they never went to the water hole at night. Maybe Matt and his team from the BFRO should check it out and Pigeon Mtn right down the road that has had several sightings! Yes, I watched an episode of 'Finding Bigfoot' where they went after Florida's Skunk Ape. I'd love to hear your friend's story! Great article jo. I had a friend who was a sasquatch fanatic. She had seen Florida's version, a skunk ape, when she was a kid. Have you ever heard of it? These are all really good points! I think we can discount Mothman then. Thanks! It would be hard for Mothman to move through the woods so easily with his wings. Even folded back they would catch on the branches of trees and such. I also don't know that he would have the eye shine. I've never seen moth eyes glow. I considered Mothman, while I was looking into this. The hairiness swayed me into Sasquatch though. I really need to refresh my memory on Mothman, as it's been a few years since I last read about him myself. You may be onto something too! This is interesting. It reminds be a tad of the Mothman for some reason. Probably because I just finished reading about him yesterday. Dunno. But still that's pretty neat. I'm glad! Thank you for reading.